As some of you may have noticed that apart from my recent review of a short story, I’ve been somewhat quiet on the reviewing and blogging front. Without going into specifics, some health concerns have diverted my attention elsewhere over the past few months but am happy to say I’ll now be returning more of my attention and efforts to one of my enjoyable pastimes, namely that of writing and reviewing. Book reviews, particularly for the Indie and self-published author are the lifeblood of such writers, but for the relatively unknown or debut author, such reviews can be frustratingly elusive. As we all know, there are already numerous review exchange groups on Fb, many of which list their numbers in the thousands, but with such numbers posts are often consigned to history as minutes later endless more requests and posts are made before they can be responded to. I know many authors who are only too happy to read and review other’s work, and with this in mind I’ve recently created a second WordPress blog, http://www.indieauthorreviewexchange.com and an accompanying Fb group of the same name. Where I hope to be more effective than some of the other online equivalents, is by deliberately keeping the two smaller in membership, and with the accompanying wordpress blog there will be no reason for book links to be lost amid a plethora of subsequent Fb posts, enabling members to browse at their leisure other member’s books listed on the different ‘Genre’ Pages on the Wp site and if they wish, they can contact them via the accompanying Fb group. 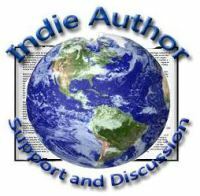 I’ve created the Indie Author Review Exchange WordPress site and its sister Facebook group of the same name (see links at bottom of page) to promote mutual support among independent writers and authors by way of reading and providing honest and informative reviews of each other’s books. It’s all too easy to assume that a great book will be widely read and reviewed on it’s merits alone, but unfortunately, being a good writer doesn’t necessarily go hand in hand with being a good marketeer, promoter, or publicist, and for that reason, I believe a lot of very good books aren’t getting the attention and readership they deserve. My hope is that as the number of members grows, that each member will read and review other members’ books, as well as passing on recommendations for other independently published books they may have read. If as a member of the accompanying Fb group, you feel your book doesn’t fit into any of the genres listed, please email me with a suggestion for a new category for it to be included in (email listed in pinned post in Fb group). Likewise to other authors who blog on wordpress and elsewhere, feel free to take a look at our Fb group to see if you’d be interested in joining for inclusion on this site too.